From handcrafting terracotta on well-known buildings such as Grand Central Station in New York City to volunteering his time in the Pittsburgh arts community, distinguished ceramic artist Terry Rorison has dedicated his life to the arts. For the last six years, Rorison, 69, has been the artist-in-residence at the Father Ryan Arts Center (FRAC) where he has supplied equipment and materials and has volunteered his time supporting the adult and youth pottery classes. He also repairs the potter’s equipment when needed and buys and mixes the clay so the center doesn’t have to buy materials for its classes. Rorison’s role has recently expanded to include facility manager responsibilities for many of the events at the FRAC. While Rorison lives in Fox Chapel, his roots are in the Rocks—his parents grew up here and he used to work at the Isaly’s that was once on Chartiers Avenue. He gives back to the community not only because of his connection to McKees Rocks, but also in memory of his late son who passed away at a young age. He’s also active in the Western Pennsylvania Potters Community, which he helped found for potters to learn, socialize and support the community. The Potters Community spent a recent weekend at the Pittsburgh Center for the Arts making 500 bowls for an Empty Bowls event – a community meal to help fight hunger. Rorison’s continuing interest in learning brought him to the TechShop where he recently gave a talk on “Art and Technology” to a group of potters. Before he devoted his life to volunteering, Rorison handcrafted architectural terracotta for 23 years with Superior Clay Corporation. His work can be seen on famous buildings including the main building of Ellis Island, Union Station in Washington D.C. (a $440 million project) and even on local architecture such as the Union Trust Building and Rodef Shalom Temple, plus many more. 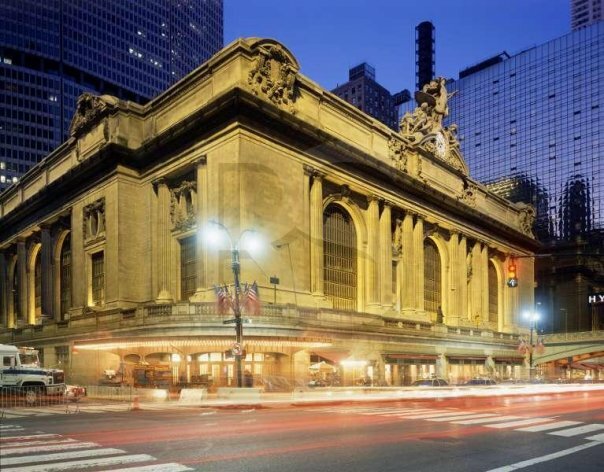 Rorison produced the lower terracotta work on Grand Central Station in NYC. “Union Station was abandoned when I started working there, so it’s great to see it now as a vibrant place with restaurants and shops and to have had that connection,” he said. 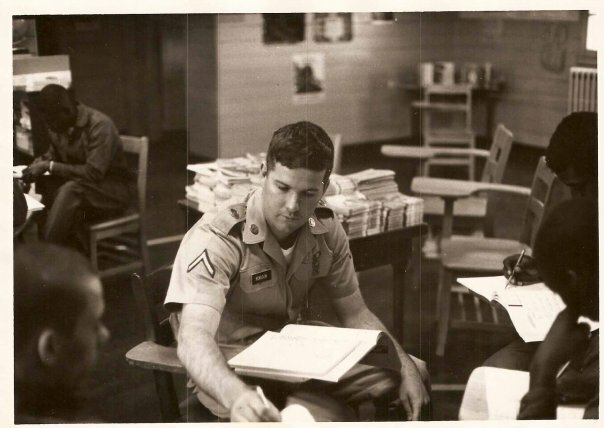 Rorison teaching men how to read in the Army’s Preparatory Training Program. Before he started working for Superior Clay, Rorison found a love for teaching and helping others in the Army’s Preparatory Training Program where he taught draftees how to read. He then launched an education program and taught reading at a jail in Ohio that was new at the time. What Rorison enjoyed most was the moment when the “light went on” for the men in his classes. “When they get to the point where you can see in their eyes that they know they can do this—you see that twinkle in their eye—you can praise them. It was so profound,” said Rorison. Around this time is when Rorison became interested in making pottery. He bought a wheel and soon made his way back to Pittsburgh working at the Manchester Craftsmen’s Guild and exhibiting his sculptures, bowls and other pottery containers at many art galleries and shows around the city including the Three Rivers Arts Festival. Rorison is now working on the American Potter’s Oral History Project, which documents the life and work of ceramic artists and teachers through a video series. Watch his video featuring artist Ed Eberle.